*Reception to follow screening, with a cash bar. 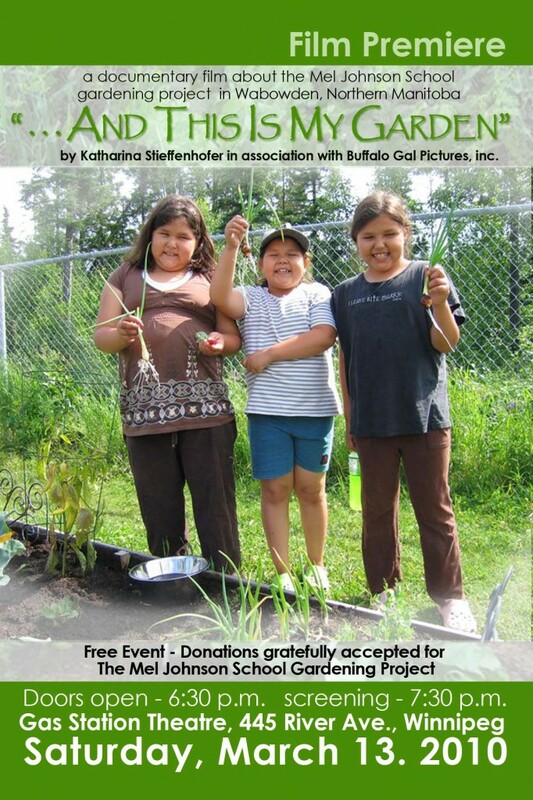 Free Event – Donations gratefully accepted for the Mel Johnson School Gardening Project. Eleanor Woitowicz, and Bonnie Monias, both teachers at Mel Johnson School, in Wabowden, Northern Manitoba are literally breaking new ground in education and are growing a healthier community in the process. Over the past 4 years the teachers have established 58 small vegetable gardens right in their students’ backyards. This documentary film follows the teachers and their students for a season of seeding, planting, harvesting, preserving and ultimately celebration of the fruits of their labour at the school’s annual community harvest display and feast. A reception will follow the screening of the film, with a performance by the Mel Johnson School Fiddlers. Teachers & students will be in attendance. Seating is limited. Please RSVP to kast12@mts.net before March 8th.